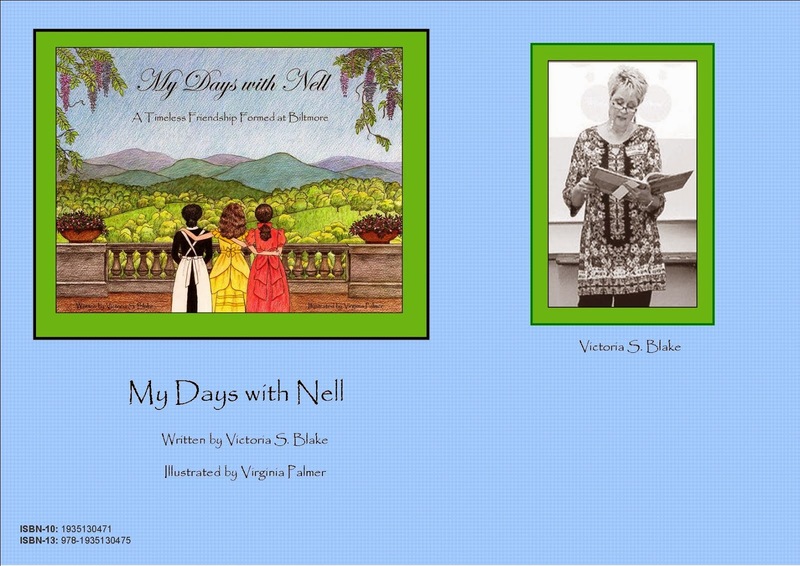 Yesterday, November 3, 2016, I had the honor of speaking at Sullins Academy in Bristol, Virginia, to students in grades 2-6 about "My Days with Nell." From the moment I entered this beautiful school, I was met with smiling faces and helpful folks that directed me to Mrs. Stamper's lovely media center. After some much needed computer "hook-up" help from Mr. Roy Vermillion, principal, and the school's computer whiz, my powerpoint presentation was up and ready to go. I hadn't actually planned to speak with the sixth graders, but, they happened to have a scheduled media class and I had a research based Biltmore powerpoint that seemed appropriate for them, so we did it! Those students were awesome! Thanks for your undivided attention, and for your eagerness in helping set up the room for the classes which were to follow you. I gave two presentations, to grades 2-3 followed by grades 4-5. The students were so attentive, polite, and respectful. They listened intently and asked pertinent questions as we discussed the writing process in regards to "My Days with Nell." We talked about the Pre-Writing, Drafting, Revising, Editing and Publishing phases of the process and I was amazed at how these young, emergent writers understood these concepts. We briefly talked about their perception of a story's setting, characters, plot and what it means when a book is classified as historical fiction. We discussed the idea of asking questions and using their five senses to improve and make revisions to their rough drafts. I have no doubt they are ready to be authors now! These smart young people can do it! After my "Writing Process" presentation, we talked about some of the wonderful Christmas traditions at the Biltmore house. I love sharing how the workers at the Estate maintain the 121 year tradition of bringing in the "big tree" for the holidays. I love telling the students how the Vanderbilts generously cared for those that worked at the estate, as well as how kind they were to family and friends who came and stayed at the house, sometimes for extended periods. I am grateful for the initial invitation from Mrs. Stamper and to Mr. Vermillion for allowing me to come and share "My Days with Nell," and my passion for Biltmore. I am grateful to the many Sullins outstanding educators that shared encouraging and positive words with me. It was an extra-special time for me personally, because three of the most precious people in my life attend Sullins Academy, my three grandsons, Brady, Drew and Luke. To be able to come and speak at their school is a blessing I will never forget. Christmas is right around the corner... But I received a great present yesterday in visiting Sullins Academy. That Author's Day was a lovely gift to me... and I am thankful.